Twelve Massachusetts jurors returned a verdict of death for jihadist Dzhokhar Tsarnaev, who together with his brother perpetrated the 2013 Boston Marathon bombing. DZHOKHAR TSARNAEV'S life is a meager compensation for the murder of Martin Richard, Lingzi Lu, Krystle Campbell, and Sean Collier. But it is the highest price he can be made to pay under our system of justice, and a jury of his peers has unanimously recommended that he pay it. From the outset, the death penalty was the sentence most Americans believed Tsarnaev should receive, assuming he was guilty of the grisly Boston Marathon bombing. Long before the case went to trial, all doubt of his guilt had vanished. Not even his lawyers tried to suggest otherwise. On the trial's opening day, defense attorney Judy Clarke bluntly acknowledged: "It was him." What all these weeks in the federal courthouse in South Boston established was not that Tsarnaev is a murderer and a terrorist — that we knew. What was made brutally clear is that he feels no remorse for the blood he shed and the pain he caused. 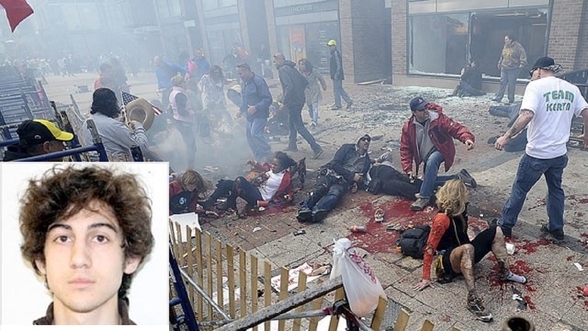 Witness after witness described, in heartbreaking and agonizing testimony, what Tsarnaev's bombs had wrought. The jury saw and heard it all, and drew the logical conclusion: The heartbreak and agony were the whole point. Like Timothy McVeigh, like the 9/11 hijackers, like the bombers of Pan Am Flight 103, like the Fort Hood shooter, Tsarnaev and his brother set out to slaughter as many victims as possible, and to do so with a maximum of cruelty and horror. Under federal law, the death penalty is meant to be reserved for the worst of the worst. Tsarnaev placed a nail-filled pressure-cooker bomb a few inches behind an 8-year-old boy, and sauntered off to buy a quart of milk after the child was blown to pieces. If such a murderer doesn't qualify as worst of the worst, no one does. 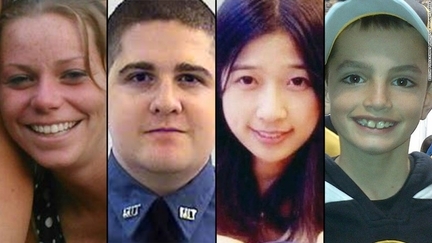 Dzhokhar Tsarnaev's life is a meager compensation for the murders of Krystle Campbell, Sean Collier, Lingzi Lu, and Martin Richard, but it is the highest price our system of justice allows. Opponents of capital punishment strenuously faulted the Justice Department for seeking the death penalty. They argued that the bombing was a terrorist attack aimed at Massachusetts, which has rejected the death penalty as a matter of policy. But it was Americans that Tsarnaev determined to terrorize and kill. The message he scrawled in the boat where he was found expressed hatred for America. It would have been a dereliction of the government's duty had it shied away from prosecuting him to the full extent of the law. Copley Square was repaired long ago; there is no sign of the blood and gore and rubble of that awful day in 2013. But the destruction Tsarnaev caused will last a lifetime — in shattered families that will never be made whole, in physical wounds that will never fully heal, in emotional trauma that will never be shaken off. Above all, in the death of innocents who will never again smile, or dream, or love. Human justice is imperfect. But in returning a verdict of death for the Boston Marathon bomber, 12 Massachusetts jurors have come as close as they could.